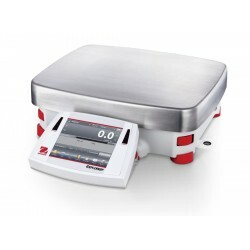 You will not find a better priced, high capacity precision balance. Features a user friendly application-based graphical software platform with enhanced weighing performance, and a flexible modular display that detaches from the weighing base. Ingeniously striking a .. Features a user friendly application-based graphical software platform in concert with enhanced weighing performance, and a flexible modular display that detaches from the weighing base. Ingeniously s..
Tough Industrial Scales for Tough Weighing Jobs! Ranger 7000 boasts the highest resolution, largest display, most application modes and connectivity options, as well as the largest memory library of ..